When Annie Blackledge first heard about a state bill that would create a new government agency for at-risk kids and their families, she was skeptical. The foster care system, she says, needs real innovation. Because of a lack of placements, the state puts foster kids in hotels, or in group homes, or sends them out of the state because there's nowhere else for them to go. A commission convened by Gov. Jay Inslee recommended restructuring child and family services by pulling the Children's Administration out of the Department of Social and Health Services and combining it with the Department of Early Learning and juvenile rehabilitation. Blackledge thought it sounded like "rearranging deck chairs on the Titanic." "What does it matter that we're pulling agencies out and smushing them together?" thought Blackledge, executive director of a child welfare reform nonprofit called the Mockingbird Society. Yet as the bill to establish the Department of Children, Youth and Families made its way through the legislature, Blackledge started to see something else: Opportunity. Inslee and the Blue Ribbon Commission on the Delivery of Services to Children and Families, created last year, saw the same thing. Earlier this month, he signed the bill establishing the new department. By July 1, 2018, after a year of transition, both the Department of Early Learning and the child welfare functions of DSHS will be entirely absorbed into the new office. A year later, the juvenile justice functions of the Juvenile Rehabilitation Administration will be added. Inslee chose former state representative Ross Hunter, currently director of the Department of Early Learning, to lead the new agency. Those who work with foster kids and their families say this could be a chance to hit the "reset" button on an oft-criticized system. Combining the agencies could make for better communication and fewer kids falling through the gaps. It could also lead to reforms in the foster care system that focus more on preventing families from being separated. "The opportunity for innovation in this department is huge," Blackledge says. "And it's innovation that we need." When Hunter, the appointed leader of the new agency, began studying data on the state's foster care system, he was shocked. At the juvenile detention facilities he visited, nearly half of the youths were foster kids, according to a DSHS study. About one-quarter of kids in foster care, he learned, will at some point experience homelessness. For Hunter, child welfare had an impact on his goals for the Department of Early Learning as well. Nearly a quarter of kids eligible for the Early Childhood Education and Assistance Program were involved in the child welfare system. He realized it would be hard to meet all the goals for kindergarten readiness without changes in child welfare. "My first reaction in seeing that data was 'We have to get upstream,'" Hunter says. "We have got to figure out how to start early and invest in stuff that we know works to help kids deal with some of the trauma in their life, and work with families, and help families reduce the amount of trauma that kids are experiencing." For organizations that work with foster care, that could mean a variety of changes. Blackledge, with the Mockingbird Society, says she hopes the new department will do a better job of keeping kids in their communities — and out of group homes. Mary Van Cleve, an attorney for Columbia Legal Services, sees promise in the new Department of Children, Youth and Families. But it's going to take real change, not just a different name, she says. "What people don't want to do is take three agencies and plop them into one new label," Van Cleve says. Ideally, she says the new agency will do a better job integrating services for foster children and families. For example, a family may have a child in foster care who is also involved in the juvenile justice system. Under the new agency, both the child and the family would receive services from the same department. At the same time, the agency would work with the family to prevent another similar situation in the future, which would keep kids with their families longer. Kids fall through the gaps when there are multiple departments that are not on the same page, Van Cleve says. That can result in several placements for a foster kid that don't work out, leading to homelessness or a criminal record. "If you have different groups saying 'We're not responsible, that's the problem of this other agency,' then sometimes kids or families fall through the gaps," Van Cleve says. 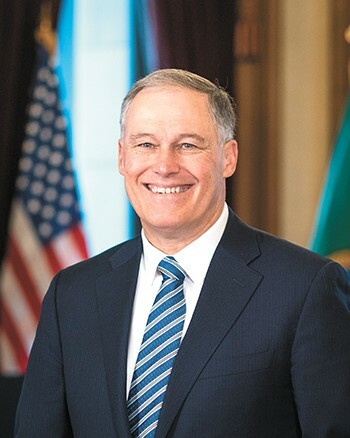 Inslee has said that the new department will help the state be proactive, rather than reactive, in addressing foster care issues. Rep. Ruth Kagi (D-Seattle), co-chair of the Blue Ribbon Commission, says that wasn't likely to happen without restructuring the agencies. She says the child welfare system needs a culture change. "The [current] structure doesn't provide enough support for the very difficult casework that needs to be done," Kagi says. The new agency's creation means there is now someone who could relay concerns and proposals directly to the governor, the legislature and the public, instead of being buried in the bureaucracy of DSHS, Kagi says. She advocates for a "much clearer definition of the continuum of care," which determines placements for foster kids. The Department of Early Learning spends about $630 million a year on preschool childcare, and the Children's Administration spends about $650 million responding to abuse and neglect, according to Hunter. The added cost of the new agency, he says, will be about $5 million. For evidence that this can work, Kagi ironically looks back at the Department of Early Learning, which was formed in 2006, combining parts of multiple agencies, and has made strides supporting young children. "And I really see the same potential here," Kagi says. Hunter says he's already hearing from so many groups wanting this intervention or that intervention. He says in the next year, during the transition period, he will listen to everyone — foster parents, DSHS employees, judges — and consider how to change the system. Maybe it's not a "reset," he says, but a "pause." Still, some see this as the best news in a long time for foster care in Washington.